Prejudice toward and discrimination against people with mental health conditions are longstanding major environmental barriers to the genuine community inclusion of individuals with mental health conditions. 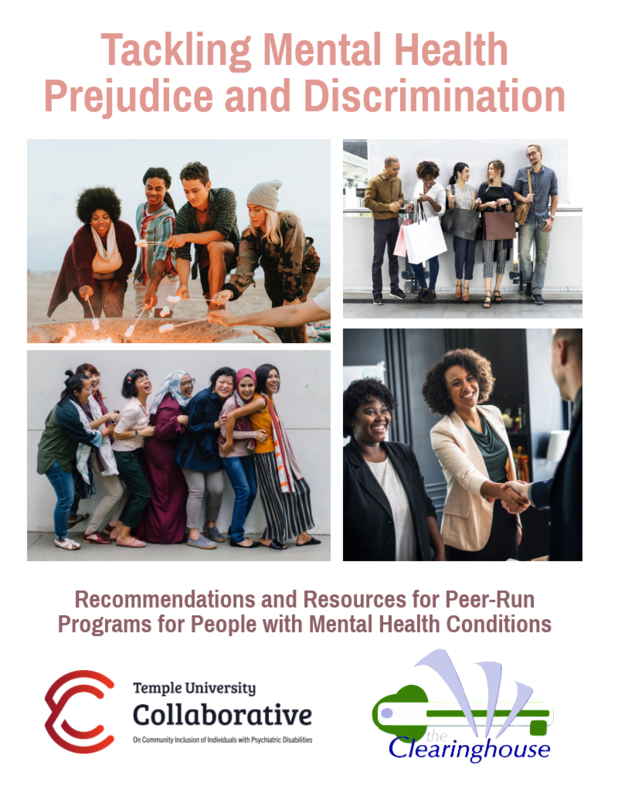 This document is designed to provide information on the types of anti-prejudice and anti-discrimination initiatives that these individuals, particularly those involved in peer-run programs, have successfully implemented in the past. The goal is to provide useful guidance for new peer-based efforts to tackle prejudice and discrimination.